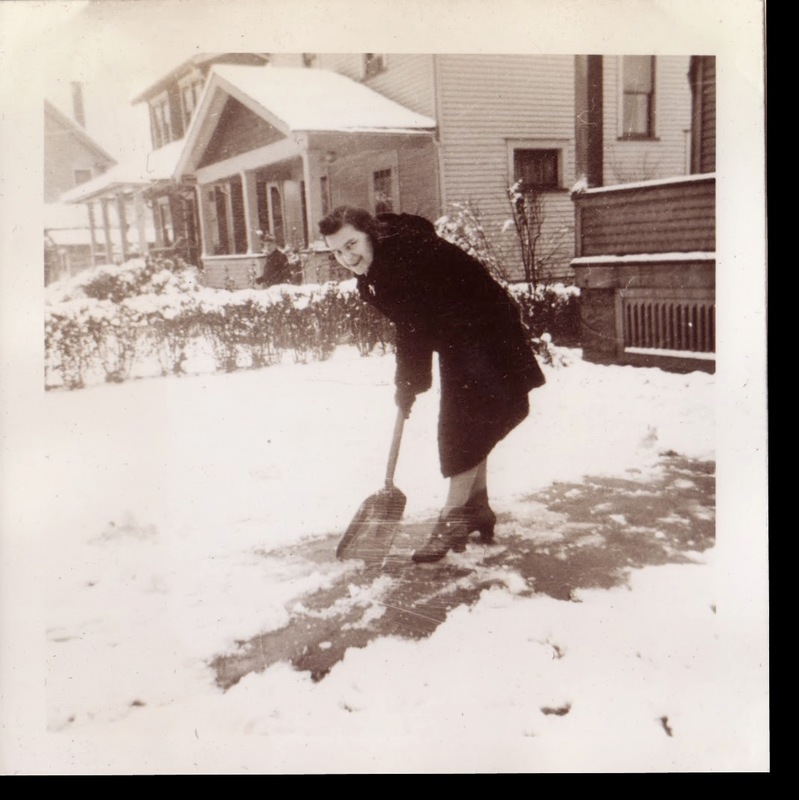 Instead of taking a picture of my great grandmother Margaret Pepperney Lowry shovel the snow, perhaps the photographer could have helped her? It was probably either my grandfather Chuck Lowry or great grandfather Charles Lowry who took this image on a wintery day in the 1940s. Fortunately, there’s only an inch or two on the ground so it didn’t take much time to shovel. Mary Margaret Pepperney Lowry (1902-1980), photograph, taken at either Thornton Avenue or 50 Bissell Avenue, Youngstown, Ohio in mid-1940s; digital image, photocopy of original, scanned in 2013 by Joseph Lowry; privately held by Mary McCaffrey, [address for private use], Canton, Ohio. Woman in overcoat shoveling snow from a walkway. Provenance is Mary Pepperney Lowry to Charles Lowry to Mary McCaffrey.